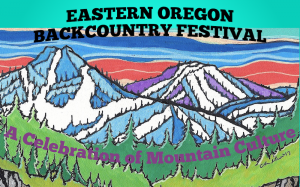 The annual Eastern Oregon Backcountry Festival is taking place at locations in La Grande and Anthony Lakes, Jan. 25-27, 2019. The event is being sponsored by the Outdoor Adventure Program, Anthony Lakes Mountain Resort, and Wallowa Avalanche Center. Activities will kick-off at the Gilbert Center on the EOU campus with the new Matchstick Productions film, All In at 7:00 p.m. Friday, Jan. 25th. Doors open at 6:00pm. Food and beverages including good beer by Side A will by available for purchase. The event is being catered by Sodexo. 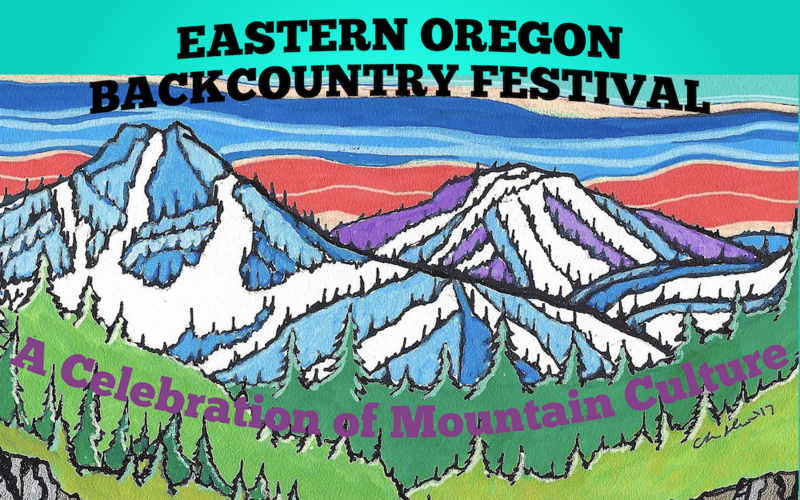 A special thanks goes out to this year’s local festival sponsors: Wallowa Alpine Huts, Winding Waters River Expeditions, Baker Vision Clinic, Eli Mayes Dental, Blue Mountain Outfitters, Anthony Lakes Mountain Resort, Side A Brewing, Black Diamond, BCA, Mountain Shop, North Face, NW Alpine, and Fairway Mortgage for their support. On Saturday, events will move to Anthony Lakes for the Kip Rand Memorial Backcountry Race starting at 8 a.m. The race has prizes for the winners, both male and female categories. THE OVERALL WINNERS WILL RECEIVE A 2019/2020 SEASON PASS TO ANTHONY LAKES or A $250 CASH PRIZE. Racers MUST check-in at the EOBF tent outside the main lodge 15 minutes before the race and have a beacon,shovel, and probe. Download the race course map here (PDF). An avalanche companion rescue clinic lead by EOU Outdoor Adventure Program Director Michael Hatch and WAC staff, will follow at 10 a.m. This clinic will focus on proper use of avalanche gear – beacon, shovel, and probe – and how to organize and carry out an effective and efficient companion rescue. At 1pm, Michael Hatch and other WAC staff will spend time in the Anthony Lakes backcountry demonstrating skills and tests useful in identifying unstable layers and their subsequent sensitivity to human triggering. Sign up for these clinics at the EOBF tent outside the main lodge. Participants MUST check-in at the EOBF tent outside the main lodge 15 minutes before the clinic. Then, after the clinics, kick back with a cold one in the world famous Starbottle Saloon and dance to Bag of Hammers from 3-6pm. Additional raffle items will be up for grabs at Anthony Lakes on Saturday with the winners being called out during the band’s intermission. On Sunday, skiers and snowboarders are encouraged to self-organize trips to the backcountry of Anthony Lakes to explore the Elkhorn Mountains in winter. OAP Director and WAC Forecaster, Michael Hatch will be leading a tour group into Angel Basin. To join him, meet at A-Lakes lodge (lower-level) at 9am w/ touring and snow safety gear. We are looking forward to this year’s festival and providing a fun event for local and regional backcountry recreationists!! For more information contact Michael Hatch at 541-962-3621 or mhatch@eou.edu. To learn about the Wallowa Avalanche Center visit www.wallowaavalanchecenter.org. 7 – 9 p.m. – Matchstick Productions new film, All In. Doors open at 6:00pm. Film starts promptly at 7pm. *Event will be catered by Sodexo with good micro beers from Side A available for purchase. *Raffle with great winter gear prizes and recreational packages from local and national retailers. *$10 for students with valid ID. $15 admission at the door. Kids under 8 get in free. Raffle tickets 1 for $2 or 3 for $5. 8 a.m. – Kip Rand Memorial Backcountry Race. Arrive 15 minutes early to check-in for race at the EOBF tent located outside of the main lodge. All participants must sign a release waiver and carry avalanche safety gear. Registration is required. Social Sunday – Ski tour and social media photo contest. Winner receives an OAP or WAC trucker’s hat. On Sunday we are encouraging all participants to get out into the mountains with friends and explore the beautiful backcountry of the Elkhorns. There will be a prize for the photo (taken on Sunday, Jan. 22nd) that receives the most “Likes” on the Outdoor Adventure Program Facebook page, HERE. Michael Hatch is the Outdoor Adventure Program Director and an Instructor of Physical Activity and Health at Eastern Oregon University. He is a Forecaster for the Wallowa Avalanche Center. Michael is an AIARE Level 1 and Level 2 Course Leader, and Professional Member of the American Avalanche Association.